Loyalty program fraud has been making the rounds in the news recently with programs like PC Points having been breached. The problem is not new and the industry has worked diligently for many years to combat program fraud. In the early days it was travel agents adding their frequent flyer number to tickets of passengers they booked who weren't part of frequent flyer programs, then it was employees at stores swiping their collector cards when the person purchasing an item didn't present their card and more recently it is the online world with hackers hacking into loyalty accounts. 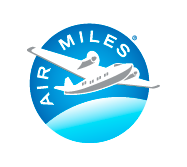 The latest entrant into the fraud world is now AIR MILES (they just can't catch a break can they?) and their in-store Cash Miles redemptions. Apparently some Cash Miles have been stolen and used for in-store transactions. To view your balance or update your Account information please visit www.airmiles.ca. I also wondered to myself when this may happen as is it is easy would have been easy to use these fraudulently. I have used cash miles at places likes Sobeys to save $10 here and there and not once have I ever been asked to confirm whether the name on my card is actually me. So if you lose your wallet and someone gets your AIR MILES card or even easier just plugs in random AIR MILES Collector numbers into the website to see the card's balance that person can then go to any of these stores and utilize that number to get a cash redemption. That was the beauty of in-store cash redemptions, they are so easy for the collector that they make sense but also being so easy makes them an easy target for the fraudsters. Right now as a collector you don't have to do anything except check your account to make sure you weren't one of those who has lost miles. New American Express® AIR MILES®* Platinum Credit Card Cardmembers, earn a bonus of 2,000 AIR MILES reward miles when you charge a total of $1,500 in purchases to your Card within your first three months of Cardmembership.